Petroleum Engineering is the core of OPES’ business. It is the discipline which fills the gap between geoscience, production & facilities engineering. Robust petroleum engineering work is essential in making informed decisions on hydrocarbon reservoir management. Our Petroleum Engineers are highly competent and have extensive experience in projects with different geological and reservoir settings. They work closely with geologists, geophysicists and petrophysicists and carry out essential engineering work allowing our clients to make correct decisions. The work could range from a single well quick look model to a full-field reservoir model essential for robust field planning and management. In addition to construction and analysis of reservoir simulation models, we employ a number of complementary tools to cross-check the simulation results. Through comprehensive reservoir evaluation work, we identify risks and opportunities and propose strategies for long term and sustainable developments. OPES is well equipped with the latest software and state-of-the-art technology, enabling its Petroleum Engineers to carry out all the required work in an efficient and vigorous manner. 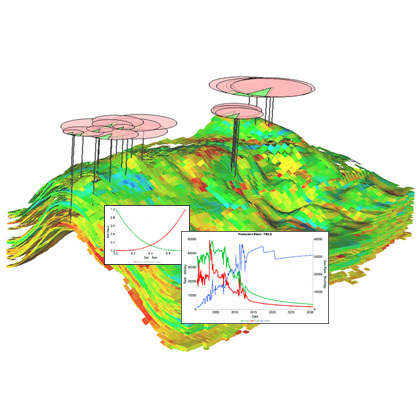 We also have our in-house Field Planning Model (FPM), capable of simulating concurrently thousands of wells and hundreds of reservoirs for long term planning or daily management of complex fields.